Joining forces to combat blight, a working-class Reno neighborhood rediscovers its historic roots. “Vibrant,” “eclectic,” and “colorful” perhaps are not the first adjectives that come to mind when describing a place that, for years, slowly faded from the public eye as the city of Reno expanded outward and upward. Yet, it is these very qualities that have sparked renewed interest in preserving the city’s historic West of Wells Neighborhood, formerly a bustling working-class suburb. The West of Wells Neighborhood Group (W.O.W.) was established in 2008, when a dedicated group of homeowners and local merchants banded together to combat the urban decay and neglect that threatened their quality of life. In the three short years since its inception, W.O.W. has galvanized the community while building an impressive resume of accomplishments and adopting clearly defined goals for continued future improvement. What’s more, this once-forgotten corridor has become a model for other local neighborhoods eager to learn W.O.W.’s secrets to success. The butcher, the baker, the candlestick maker…. Whoever penned this familiar nursery rhyme may well have been inspired by a community like West of Wells. 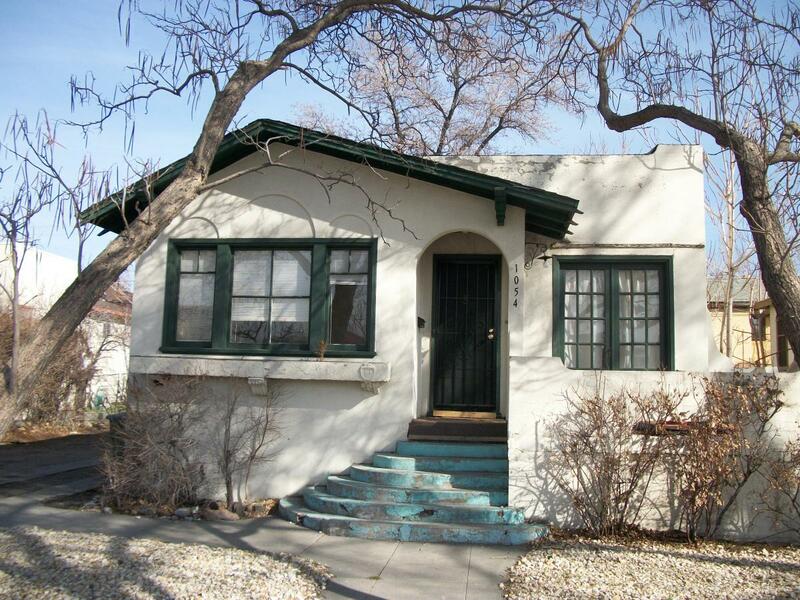 Since its early days, this close-in Reno suburb has been home to a colorful mix of characters: stone masons, landscapers, and carpenters who the built Victorian, Queen Anne, and Mission-style homes unique to the neighborhood; talented teachers, musicians, and artists; small-business owners and entrepreneurs, from the corner groceryman to the founder of the state’s first motorized milk delivery dairy. During its heyday, from the 1890s to the late 1940s, the then-called Wells Avenue Addition was a thriving community with its own local businesses and an electric trolley and railroad lines that connected it to downtown Reno. The tides changed during the post-war economic boom of the 1950s and 1960s, with the expansion of the suburbs. Across the nation, Americans, finding they had outgrown their modest duplexes and cozy bungalows, began migrating farther from the city centers in search of stately homes with two-car garages and great rooms. It was during this time that, in an effort to restimulate the local economy, the government rezoned the West of Wells area for high-density infill, a move that unintentionally damaged the neighborhood’s reputation and character. Huge, architecturally incompatible apartment complexes sprang up between the quaint cottages that originally graced the area. As the renter-to-homeowner ratio skyrocketed, the community floundered, having lost the cohesive voice it needed to correct course. Over the years, problems mounted as absentee landlords neglected rental properties, failing to perform needed maintenance, remove trash and debris, or enforce tenant regulations. The Wells Avenue commercial strip languished alongside the adjacent residential area during this period. Suburban migration, as well as competition from the newly built mega-malls, forced many local mom-and-pops to permanently shut their doors. In their place sprang up establishments selling liquor and drug paraphernalia—both an eyesore and a haven for criminal activity. Thankfully, as the millennium drew to a close, the neighborhood saw renewed interest, both from newcomers and wayward former residents who had become disillusioned with the monotony—not to mention the commute!—of life in the suburbs. Stalwart, long-time West of Wells denizens joined forces with these newcomers with the shared goal of restoring and preserving this historic gem. Today, Wells Avenue once again thrives as the neighborhood’s commercial anchor, a place to sample foreign cuisine and purchase everything from vitamins to antiques. A variety of ethnic stores lining the street cater to the area’s growing Latino population, whose members now make up roughly half the community. Last year, Reno’s historic Little Theater brought the performing arts closer to home when it relocated near Wells Avenue. The West of Wells Neighborhood now prides itself on being a diverse, “front porch” residential community where neighbors still greet each other by name. It is a place where second-generation Italian-Americans live next door to newly arrived Hispanic immigrants, where young singles enjoy close proximity to city nightlife, and where families feel safe raising children. The planning meetings also provided a venue for neighbors to get better acquainted with each other. Soon, they discovered—or, more accurately, rediscovered—that they shared a common bond. “We had all been working and worrying separately, but we came together because of similar concerns and issues,” Schuster said. By the time the Wells Avenue Neighborhood Plan was formally adopted in 2008, W.O.W. had officially organized and begun addressing several priority issues. If you can’t beat ’em—encourage them to join you! W.O.W. has used this clever strategy to successfully overcome one of its biggest challenges, absentee landlords of multi-unit properties with nuisance tenants. The problem of owner neglect essentially began in the 1960s, with neighborhood rezoning, and intensified as the percentage of owner-occupied homes decreased. “There was a kind of culture clash between homeowners and landlords who were trying to improve the neighborhood and other landlords who saw it as a dumping ground for ignored rentals,” Schuster explained. Thanks to ongoing neighborhood cooperation, the group has leveraged government support of Roots for Wells and several other projects. On its website, W.O.W. explains its successes as being “based on our ability to learn the processes of city government and form alliances with the proper departments, entities, and individuals.” Illustrating the excellent working relationship W.O.W. 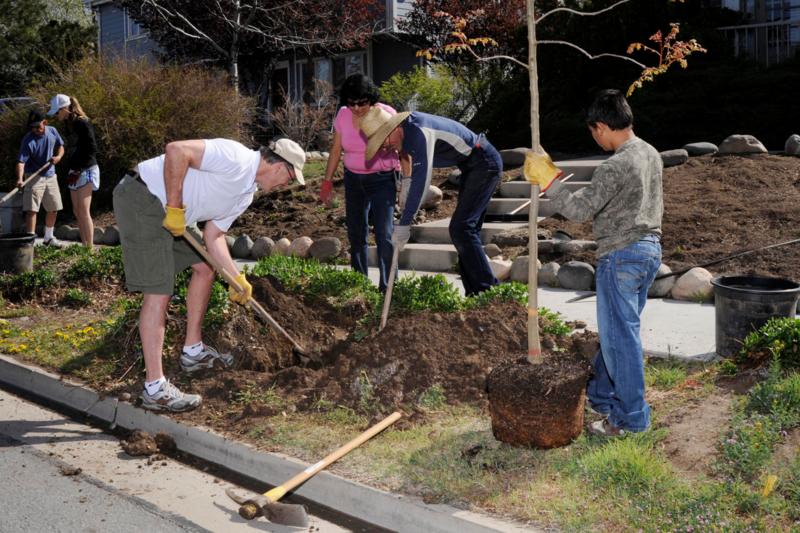 and the city of Reno enjoy are the organization’s streetlight and sidewalk campaigns. In 2009, W.O.W. representatives approached the Public Works Department with reports of unusually dark streets and asked for a lighting survey. The city determined the neighborhood needed additional lighting to meet safety standards and installed 13 new streetlights. The same year, after discovering that the neighborhood’s 1940s-era crumbling sidewalks were not scheduled to be replaced for 15 to 25 years, W.O.W. petitioned the city for a special assessment district, which resulted in new sidewalks being installed. “We have developed a good relationship with the Public Works Department and other city departments. They know we are proactive and willing to take action to help out instead of just complaining,” Stapleton said. Last year, members of W.O.W. 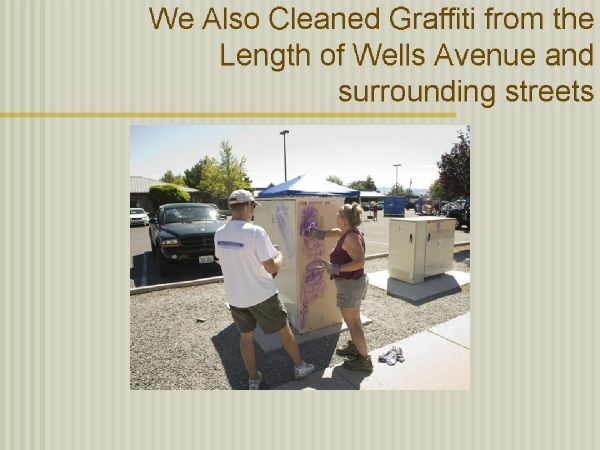 and the Wells Avenue Merchants Association worked closely with the Reno Police Department and the City of Reno Code Enforcement and Planning Departments to find a solution to the proliferation of undesirable businesses along Wells Avenue. “One problem that merchants have on Wells are panhandlers and drunks/drug addicts who frequent these stores and scare away business from other merchants,” explained Stapleton. Thanks to the group’s efforts, the city unanimously passed an ordinance to put stricter controls on small liquor and convenience stores. Besides limiting the number of such establishments allowed within the West of Wells Neighborhood boundaries, the ordinance requires a special use permit and public hearing for anyone wishing to open a liquor store. To further improve neighborhood safety and quality of life, W.O.W. has developed a proactive crime prevention program. A law enforcement representative attends each monthly meeting to address hot-button topics such as code enforcement, speeding, and the ongoing challenge of combating graffiti. Last summer, following a police presentation on the topic, group members assembled more than 100 graffiti cleanup kits for distribution throughout Ward 3. Most recently, members selected a handbill template, which the group plans to use to advertise meetings and conduct outreach and education. (Click here to view the first handbill, a graffiti fact sheet) Proposed future topics include tips for keeping properties well lit and for improving planting strips. 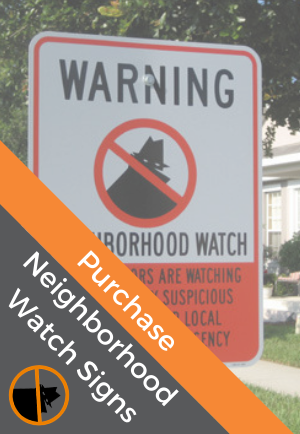 Statistics suggest that crime prevention efforts are paying off and that West of Wells residents have become more vigilant and assertive. In 2007, a year before W.O.W. was founded, only 346 crimes (half the estimated actual incidents) were reported to law enforcement. By 2009, group membership had grown and the number of reported crimes reached 650. Last year, crime dropped to 452 reported incidences—a 30 percent reduction in one year. “By 2010, we had everyone in our group trained to regularly report crime, and the 452 is a good sign, even though it is higher than 2007 numbers, because it is likely a more accurate number with fewer unreported crimes,” explained Schuster. W.O.W.’s accomplishments have not gone unnoticed. 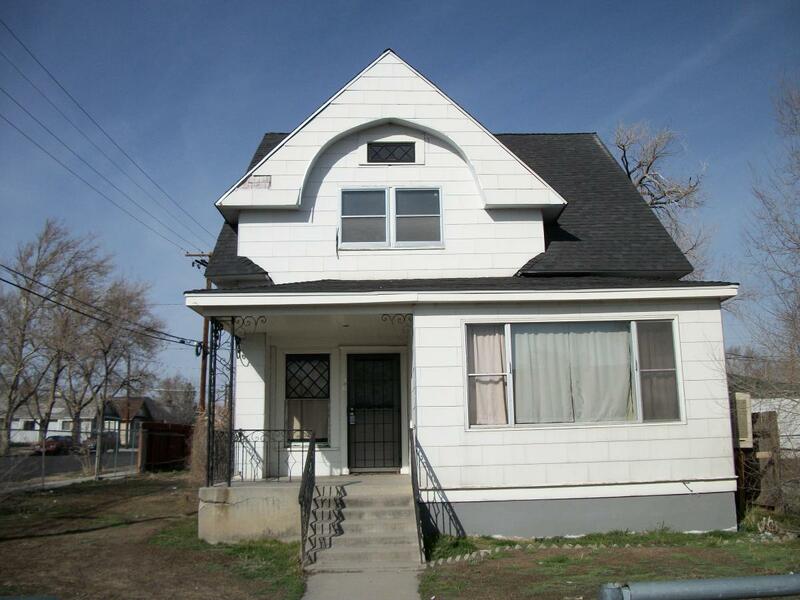 Last year, when a representative from Reno’s Victorian Avenue neighborhood contacted the city council about starting a crime prevention program, he was referred to the West of Wells Neighborhood Group. W.O.W. leaders worked with the fledgling organization, attending the first meeting and helping its members define a vision, draft a mission statement, and establish plans and goals. The Wells Avenue Neighborhood Group has outlined a series of ambitious future projects. Immediate plans include organizing a second neighborhood cleanup as well as restoring an historic Works Progress Administration-era rock wall in nearby Stewart Park. The group has already recruited volunteer masons to oversee the project and is seeking a donation of mortar. Other upcoming endeavors include working with the city to get additional street lighting and an outreach campaign to encourage residents to use their porchlights and keep alleys well-lit. The group also plans to approach the city regarding a timeline for replacing crumbling curbs and gutters.